When rich people throw parties, they go all out. They don't skimp on expenses and they go over the top, spending millions on food, entertainment and extravagant decor that may include exotic animals and objects covered in precious rocks like embedded diamonds on china plates. However, not only the rich and famous can enjoy a fantastic party filled with eccentricities. If you are down to spend more than a few bucks on entertainment here's a list of exclusive most expensive parties, you may attend to. Everyone wants to have a killer New Years’ experience or awesome Birthday Party at least once in a lifetime. If you don’t want to make your own event and call a Party Rentals in Miami. If you are down to spend more than a few bucks on entertainment here's a list of some of the most poppin' party places in Miami. 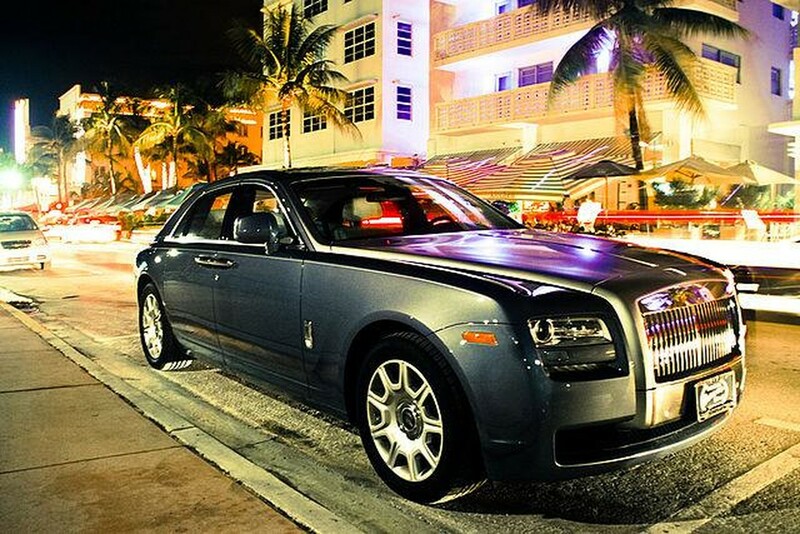 Some of the most expensive Parties in Miami are the Miami's New Year's Eve parties. Everyone wants to have a killer New Years’ experience at least once in a lifetime. Here is a list of the most expensive New Year's Eve parties I can never attend, these are not your Bounce house rental Miami Parties! Five Star Miami New Year's Eve it's a seven-day party that concludes the first of January with a superb event in Watson Island for as much as $20,000 dollars for a table. This magnificent event starts off with a sunset party at Rockwell and then it continues with a luxury yacht cruise. Next, you will sit next to a celebrity at E11EVEN where a table can cost as much as $1600 dollars with butler service included. Fireworks for New Year's Eve? Nah that’s old news! Now, Miami party people celebrate New Year Eve with a light show and that's what Nikki Beach offers you this year if you're comfortable dropping $650 just to gain two accesses to this private event. What does this evening have to offer? You and a companion will enjoy a fancy dinner and listen to guest musicians and DJ's who will play the entire evening. Also, you will feel like a celebrity with the eccentric decor that consists of oversized antique bird cages and crystal adorned gazebos which you will enjoy with a strawberry Mojito if you throw an additional $10,000 for a VIP party. You can have this fantastic experience for only $10,007 dollars, yes that's the actual price for this event! The Artisan Beach House's James Bond/Bollinger will put your head to spin with their innovative approach: They provide the fancy venue, you provide the guest list. Party starts at 8 pm with a delicious four meal course by Chef Paula DaSilva, afterward, you can move to a private terrace in the Ritz Carlton Bal Harbour, where you can enjoy the open bar for six people. By midnight, you can sit and enjoy the fireworks while you crack open a 1988 bottle of limited-edition 007 Spectre crystal containing 1.5 liters of Bollinger R.D. You can choose what's going to happen next, just remember what happens on that terrace stays on that terrace. If you have an extra half million dollars laying around, you can buy yourself a ticket to the most insane New Year's Eve party at all times. This December 31st, The Fontainebleau Hotel has prepared a tailor-made party package for you and 9 more friends for you to enjoy! This experience offers a five-night stay in the five-bedroom, 9,850 square-foot Sorrento Penthouse, a stocked poolside with all private dinners included at any of the Fontainebleau's restaurants, unlimited use of Lamborghinis and a $100,000 dollar shopping spree you can use to buy jewelry or clothing at our store boutique. Also, if you feel like it, you can drink the $100,000 dollar Champaign bottles and enjoy private dinners at one the most exclusive restaurants, the Strip steak. But that is not all, if you want to enjoy some live music, you get your own VIP private table to watch Justin Bieber's poolside performance or if Justin Bieber does not suit your musical needs you can also choose to watch Skrillex. The ultimate VIP package also includes a yacht cruise that will take you to Story for Marshmello's set. Finally, on January 1st you recover from all the good partying, champagne and red meat. The hotel has prepared a marvelous brunch for you, where you can enjoy the Bloody Mary bar and have a spa day.